Interval International has announced their new affiliation with Mega Vacations Club in Panama. This will be adding two prominent resorts in Panama to II’s inventory: Hard Rock Panama Megapolis, and the Radisson Decapolis Hotel. 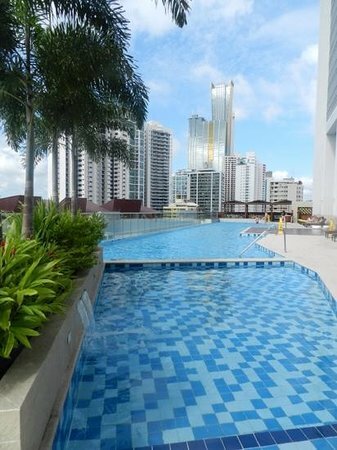 Starting off with the Hard Rock Panama Megapolis: they will be adding 1,500 timeshare units! The very best of every amenity available is at your fingertips at the Hard Rock Panama. Quality choices for timeshare resorts in Central America will certainly receive a boost with this addition along with the Radisson Decapolis Hotel. Located within a 15 minute drive of the airport, the Hard Rock features include their Rhythm and Motion Spa, exercise facilities, pools, bars, restaurants, and scenic views of the bay. They are also very close to casinos, restaurants, cinemas, and tons of shopping at the Multicentro shopping mall. The Radisson Decapolis is highly acclaimed for everything they do. Their bars, restaurants, pools, fitness center, concierge, spa, and room service are ranked in the top tier of the hundreds of hotels in Panama. Interval International boasts 3,000 resorts in more than 80 countries. The addition of these two Panama timeshare resorts will greatly enhance the quantity and quality of what II’s members may choose from in Central America. Can I Reject A Timeshare Left To Me In A Will?